Therma. 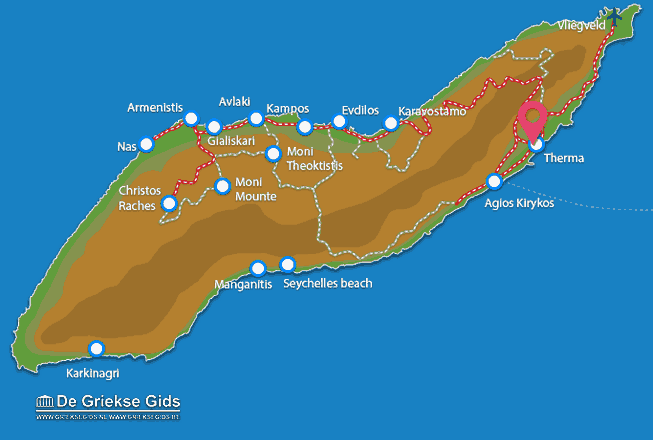 Therma is located two kilometers west of the capital of Ikaria, Agios Kirykos. 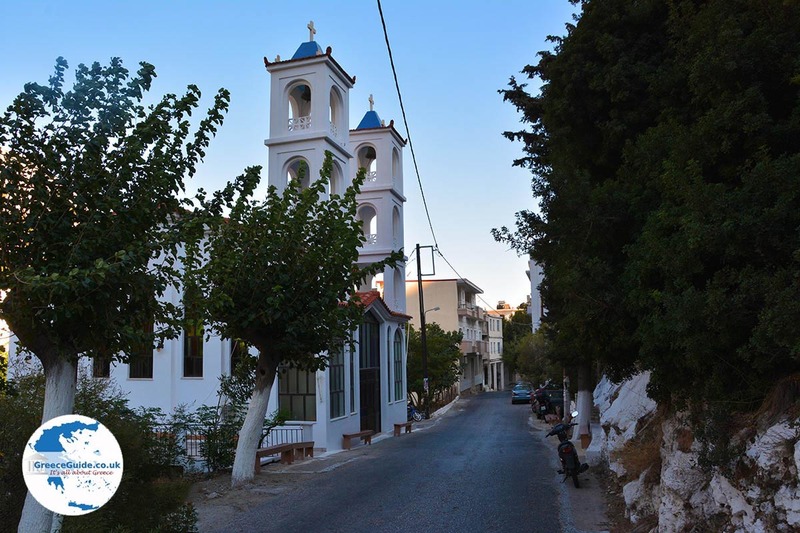 The village is located at the sea, on the slopes of two mountains. 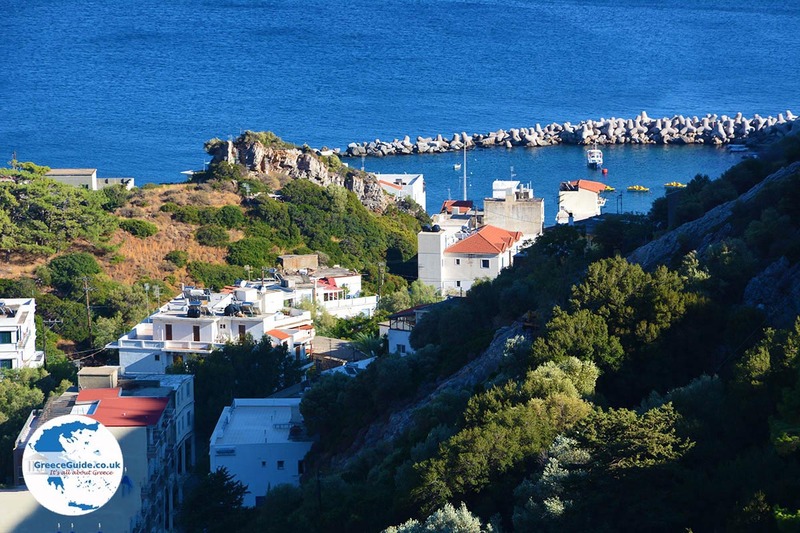 At the end of the valley lies the harbour of Therma and the sandy- pebble beach. 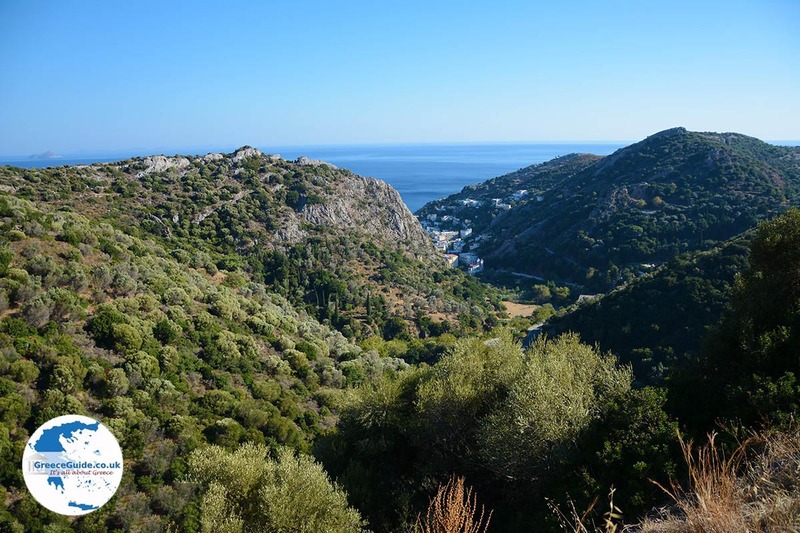 The area is very green, everywhere olive trees, pine trees, plane trees and green bushes. 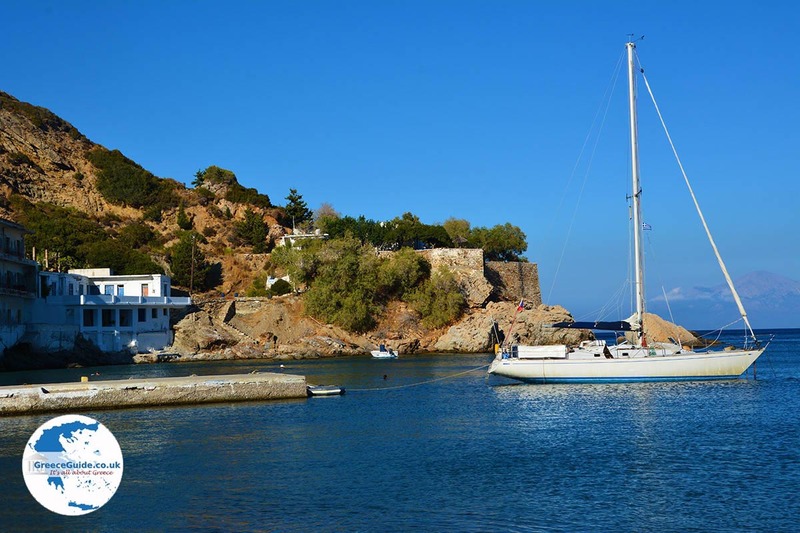 From the port, you have a beautiful view of the island of Fourni and even of Samos. 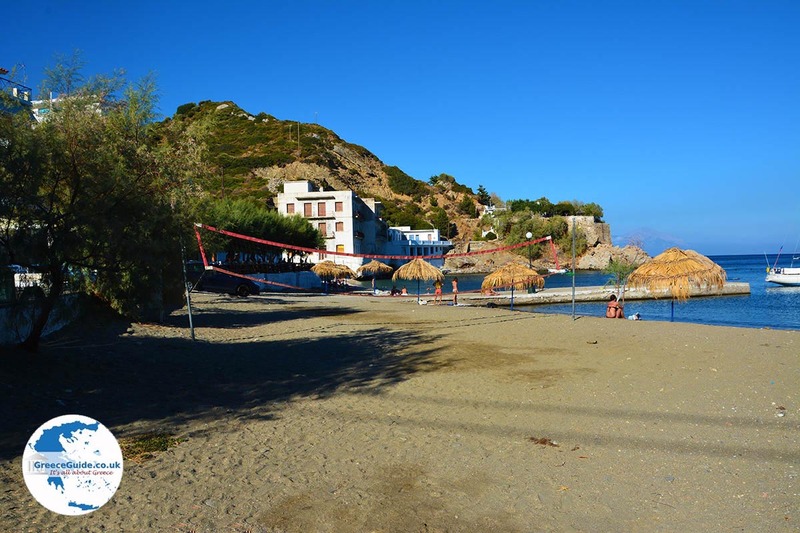 On the beach and the harbour are several tavernas and cafeterias. 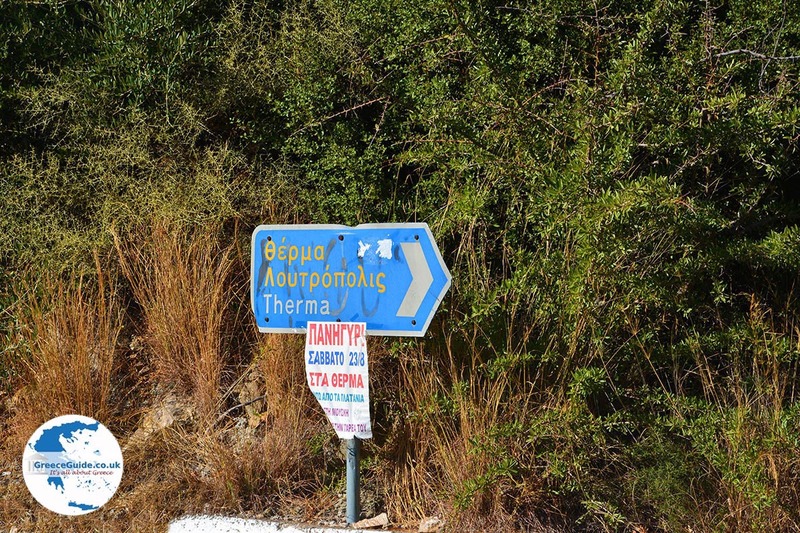 The area of â€‹â€‹Therma is been known since ancient times for its thermal springs which are visited annually by thousands of tourists. 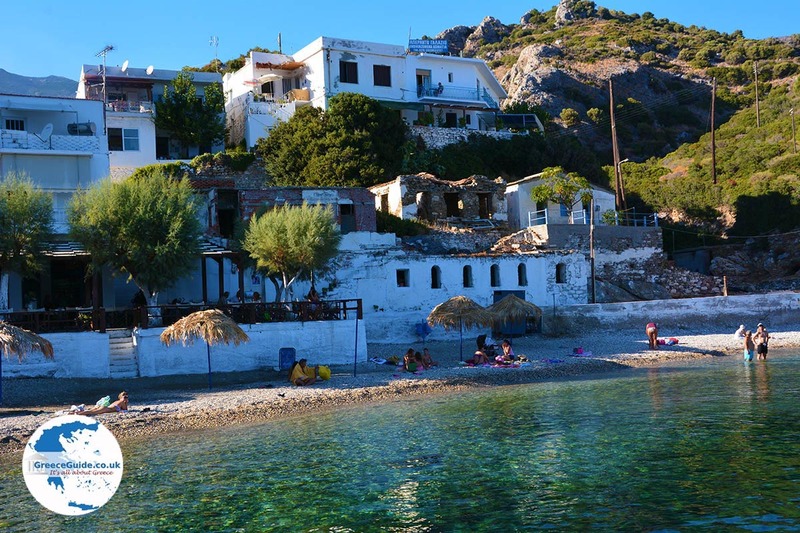 The extraordinary healing properties of the thermal springs of Ikaria has been proven by scientific studies and are unique in the world. These springs are suitable for rheumatism, arthritis and muscle pain. 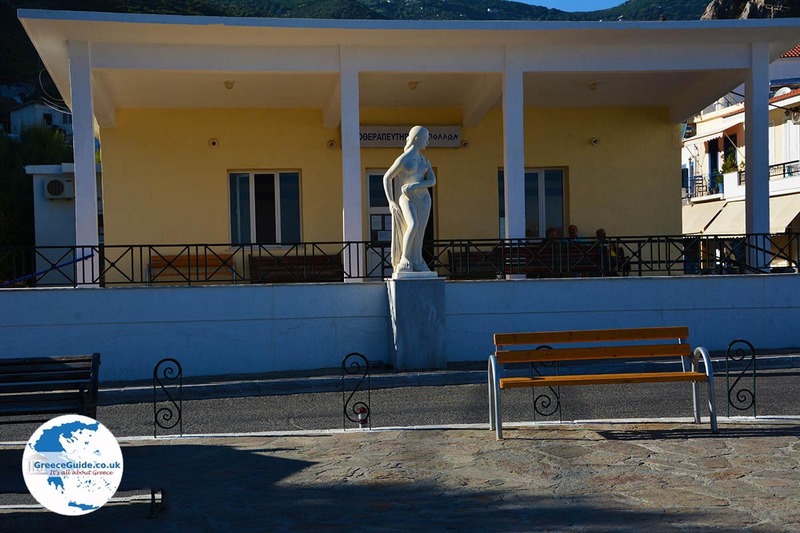 Currently there are three centres in Therma; Spilia, Apollon and Kratsa. In the vicinity of Therma one can see the ruins of the ancient city Drakano and a part of the wall of the citadel of the Classical period. 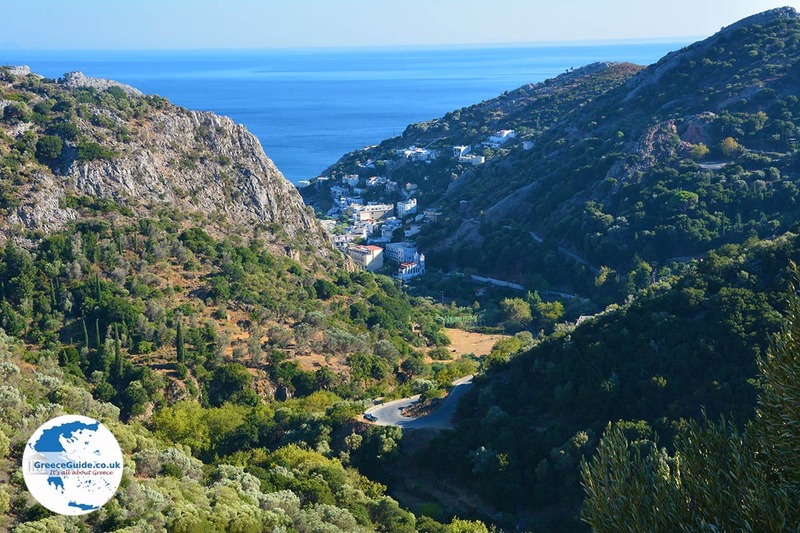 Ikaria: Where on the map is Therma located?